Once again it's awwwwn! 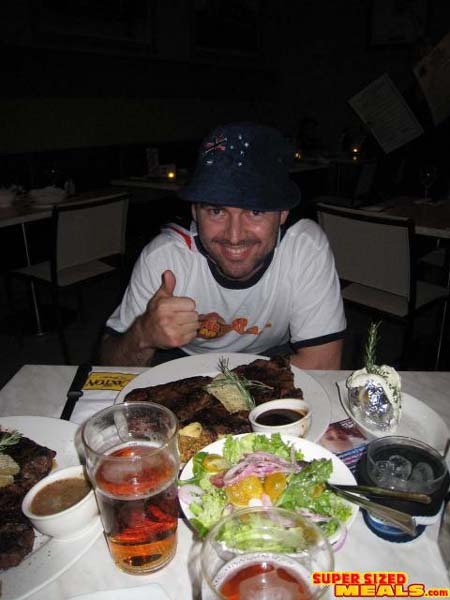 The Caxton Kilo Challenge is back for its second year of beefy goodness. 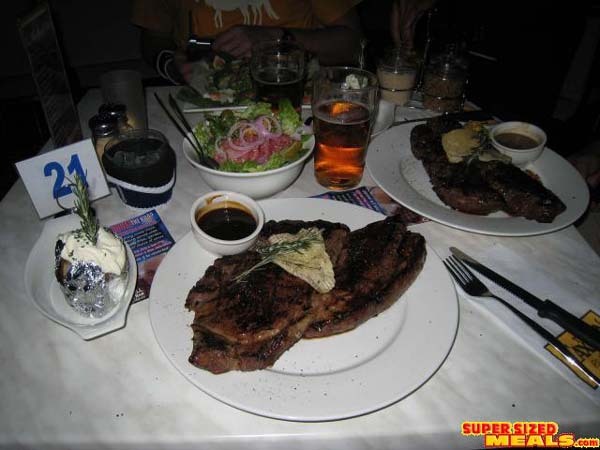 The Challenge: Eat the "Caxton Kilo", a 1kg (35oz) steak, with sides (Potato, salad). The Prize: A "Goodies" bag. (If it's the same as last year, vouchers, merchandise, hat, etc). Don't miss out, last years event was fantastic! Update 17/1/09: The price will be staying the same as last year - $35.90! 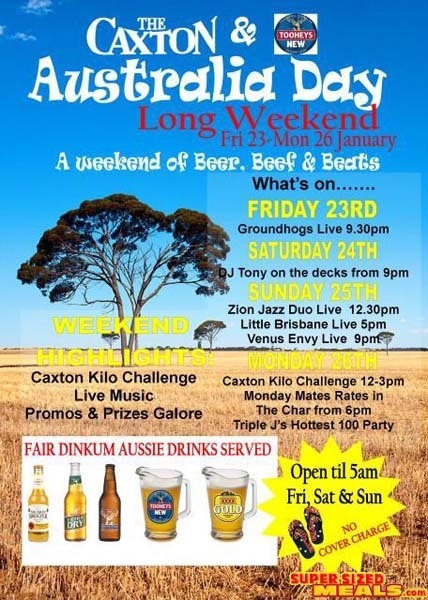 Yesâ€¦ we will definitely be doing the challenge again over the Australia Day Long Weekend. It will be running during Lunch (12-3pm) from Friday 23rd â€“ Monday 26th January. How much does that cost? I'm a bit poor at the moment, and I get the feeling that it'll be closer to $50 than I'm comfortable with. Boo-Hoo! Hey Bazz, it's $35.90. 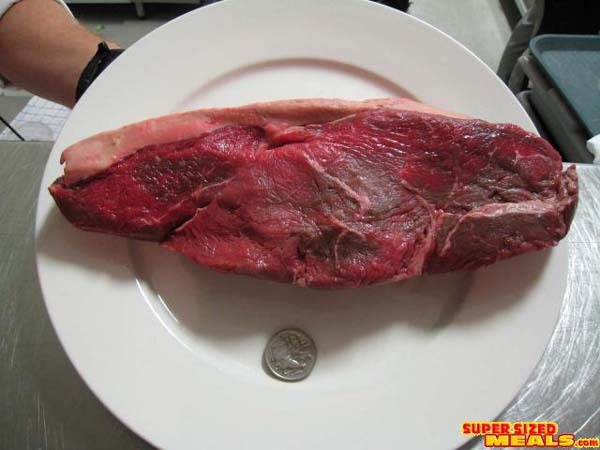 That's pretty cheap imho, you'd be flat out buying export quality rump for that from a Newfarm butcher!